Looking for a rugged coastal experience where you won't see another person for miles? The Crayfish Trail along the West Coast is all this and more. Your adventure will allow you some alone time, but also the opportunity to smell the local cuisines and learn more about communities you wouldn’t normally get a chance to interact with. The Crayfish Trail is for the travellers looking for authentic experiences where communities reap the benefits of tourism. The best part? You don’t have to take all your stuff with you – you can slackpack your way up and down the West Coast with The Crayfish Trail Company, your bags ready and waiting for you at each destination. 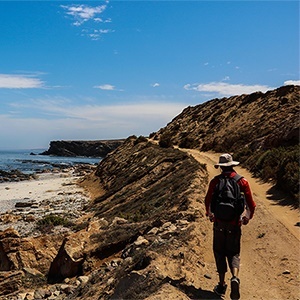 The five-day-trip will give you the opportunity to explore Rocherpan, Elands Bay, Steenbokfontein, Lamberts Bay, Doring Bay, Big River Bend and Papendorp, guided by locals from the region who take ownership of the route. It’s around R8 000 per person, but this can vary depending on the size of the group and availability. The Crayfish Trail is all about sustainable tourism and links up locally owned restaurants and guest houses, originally setup and funded by the then-called Department of Environmental Affairs and Tourism. The communities on the route have shareholding in the newly setup company, which aims to boost the tourism industry in the area and grow small businesses. Chester van der Heever, a local tour guide involved in the trial hikes, is very excited to show visitors around his home. The Crayfish Trail Company has made it its mission to revitalise and rebrand this route. They even started discounting trial runs towards the end of 2017, and are currently running a launch special for 2018 to excite more interest. And as they do this the communities along the rugged route are opend up to the benefit of tourism. These communities create a more intimate and unique experience, which makes the likelihood of just passing through each destination impossible. Don’t have time for a five-day hike? They also offer three, two-day options and are also open to tailor-made packages if there are specific activities and destinations you’d like to see and do. These go for about R3 200 per person, but again it depends on group size and availability. Wouldn't the upcoming Easter, longweekend be perfect for a private group with family and friends who want to make memories on an unforgettable coastline? 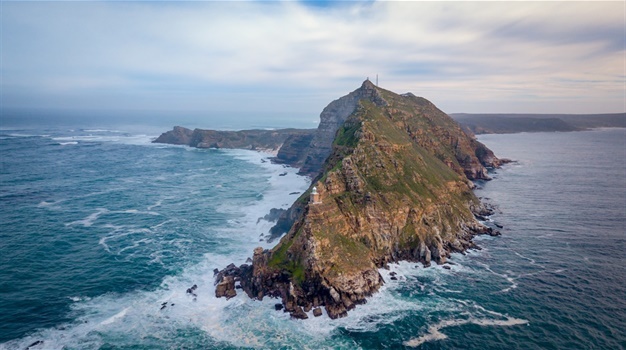 This little coastal hamlet is well-known for having one of only six islands in the world to host a Cape gannet colony, one of only three in South Africa, but it's the only one where the island is linked to the mainland, providing easy walking access. Their loud gawking is only almost outdone by the small seal colony that shares the island. Crayfish trail hikers will also get to know the local fisherman who make their living from the sea, and all meals are sourced from the Lambert's Bay community. It's a small town with a big appetite for seafood and wildlife conservation. You may not think that a small fishing town would have its own winery, but Doring Bay loves to surprise its guests. Fryer's Cove Vineyards can be found at the old harbour perfect for those rustic Instagram posts. Its wines are flavoured by salt flakes blown onto the vineyard from the cold sea, and the Sauvignon Blanc has received a few prestigious awards. Besides the wine, Crayfish Trail Company will also give hikers the opportunity to learn more about the community-owned abalone farm also housed in the old harbour, after which a dinner overlooking the bay will round of the day. Be sure to make time to watch the sunset falling over the horizon, a sight that shows off the beauty of the Atlantic Sea. Many might drive past this quiet village on their West Coast road trips, but it's well worth a stop to explore the windy paths on the banks of the Olifants River. A birdwatcher's paradise, the rust-coloured vegetation and bobbing fishing boats take on a more mysterious air when the mist descends on the river mouth, almost like a ghost story come to life. Hikers will have a muddy adventure from Doring Bay to Papendorp, and depending on accommodation may also get a lift from one of the local fishermen in their boat up the river. You could maybe even flex your rowing muscles and lend a hand.